Ideally situated in Melik Gazi Ilcesi Tekir Yaylasi, Erciyes Dagi in Erciyes in 12.8 km from the centre. 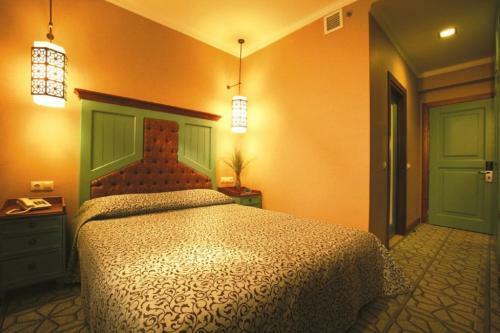 4 stars Hotel Mirada Del Lago is absolutely acceptable for a mountains, ski/wintersports getaway. The nearest Erkilet International Airport is in 26.6 km from the hotel. You can take advantage of a huge range of amenities: internet services, billiards, finnish sauna, convenient airport transfer, comfortable restaurant, car park, downhill snowboarding, part time nanny for children, a meal may be served in the room. Tourists can pay for services using these types of payment cards: Visa, Mastercard. Accommodation staff is fluent in Turkish, Russian, English, German. 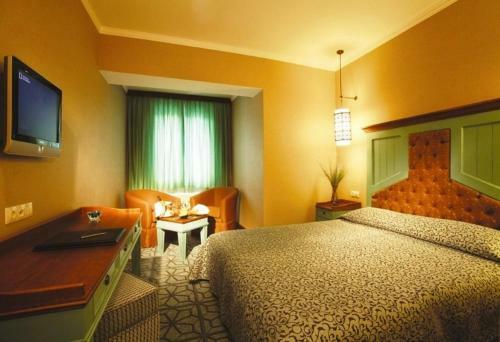 For tourists, best accommodation are offered 3 rooms in the hotel. 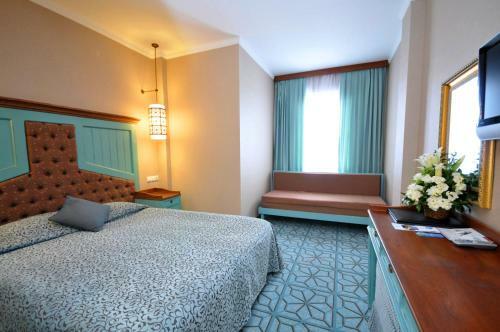 The following categories of rooms are available for you: suite, family, twin/double. 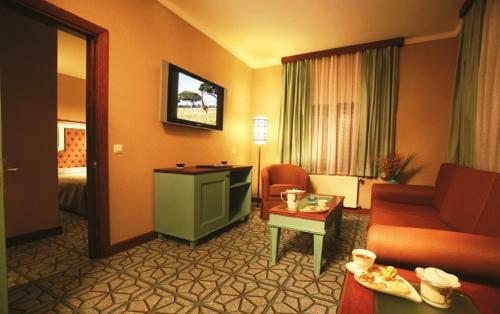 In accommodation facilities are the minibar, safety deposit box, telephone, hairdryer, free toiletries, flat-screen tv, desk. This room type features a separate living room. 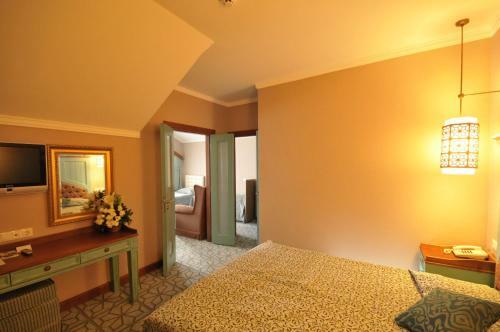 This room offers a satellite TV, minibar and a private bathroom with free toiletries and a hairdryer. 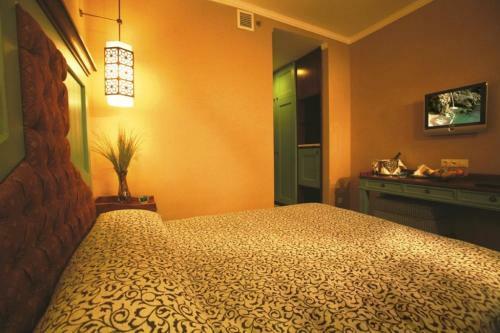 This room offers a flat-screen TV, minibar and a private bathroom with free toiletries and a hairdryer. There is a seating area with sofas and a coffee table. Children and Extra Bed Policy All children are welcome. One child under 6 years stays free of charge when using existing beds. Up to two children under 2 years stay free of charge for children's cots/cribs. 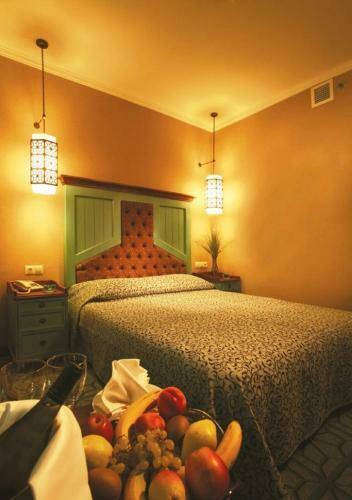 One child from 7 to 12 years is charged EUR 40 per night in an extra bed. One older child or adult is charged EUR 56 per night when using existing beds. The maximum number of extra beds in a room is 1. The maximum number of children's cots/cribs in a room is 2. Mirada Del Lago offers complimentary two-way transfer from/to the airport for stays of 3 nights or more from December to the end of February. Guests are kindly requested to inform the hotel about their arrival and departure times at least 3 days before. Please note that prices between 1 December 2017 and 1 April 2018 includes ski pass. The proximity to the ski slope. The place was too commercial, making it seem almost commune-like as opposed to resort-like.